For Beverly Hills DUI offenders who are under the age of 21, penalties can be harsher than those applicable to adult offenders. This is because the California legislature and law enforcement agencies have recognized the enhanced danger that underage DUI offenders can pose and have gone to great lengths to discourage this type of behavior. As a result, any driver under 21 who is caught with a blood alcohol content of 0.01 percent or higher would be subject to a yearlong driver's license suspension under California Vehicle Code Section 23136 VC. For underage drivers who have not yet obtained a license, their ability to so do would be delayed one year under this statute. The license suspension in California Vehicle Code Section 23136 VC is enforceable against drivers under 21 regardless of their driving conduct, as long as they had a measurable blood alcohol content at the time of driving. Because a BAC of 0.01 percent or higher is enough to violate this statute, use of products that contain minute amounts of alcohol can put a Beverly Hills driver's license in jeopardy if that driver is under 21. Products such as mouthwash, over-the-counter cough medicines and other widely used items contain alcohol and may cause someone to provide a breath sample of 0.01 percent BAC (or higher) when tested on a Beverly Hills PAS device. While the PAS test is optional for most drivers, those who are under 21 are required to submit to testing upon request. California Vehicle Code Section 23136 VC is a civil penalty that is imposed by the California Department of Motor Vehicles and not the Superior Court. The license suspension will automatically become effective unless the driver submits a timely request to challenge the basis of the suspension. If properly requested, a hearing officer from the El Segundo branch of the DMV Driver's Safety Office will preside over the matter and determine whether the suspension is valid. Beverly Hills drivers who are under the age of 21 could face penalties in addition to the yearlong license suspension if their BAC was found to be between 0.05 and 0.07 percent. While these drivers may be exempt from misdemeanor DUI charges, they still would be cited pursuant to California Vehicle Code Section 23140 VC. This is an infraction that is punishable in court by extensive court fines, fees and penalty assessments, in addition to the yearlong suspension. When Beverly Hills drivers under the age of 21 are caught with a blood alcohol content of 0.08 or higher or refuse testing altogether, those drivers can subsequently be charged with misdemeanor DUI pursuant to California Vehicle Code Section 23152(a) VC and /or California Vehicle Code Section 23152(b) VC. 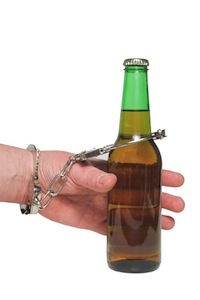 Prosecutors and judges tend to be harsher when dealing with DUI defendants who are under the age of 21. This is because such drivers violated the law by both drinking illegally and then driving under the influence. In addition, courts like to a send a strong message to young offenders about the seriousness of impaired driving and its associated risks. Beverly Hills DUI defendants under the age of 21 who are convicted can be sentenced to up to a year in jail, between three and five years of probation, costly court fines, completion of an alcohol class, community service or community labor, and participation in programs such as the Hospital and Morgue ("HAM") program or the MADD Victim Impact Panel ("VIP"). In addition to any court penalty, the DMV would suspend the defendant's license for a year and that driver would not be eligible for a restricted license during this period. If you or a loved one have been arrested for an under 21 DUI-related offense, it is critical that you speak with an experienced Beverly Hills DUI attorney right away. There are often tight DMV deadlines that must immediately be met and a qualified attorney can take care of this process and all necessary filings. Beverly Hills DUI Lawyer Michael Kraut is a former Deputy District Attorney with over 14 years of prosecutorial experience who is highly skilled at managing all aspects of the DUI process. For more information about Beverly Hills DUI charges for those under the age of 21, and to schedule your free consultation, contact Beverly Hills DUI Lawyer Michael Kraut at the Kraut Law Group located at 8484 Wilshire Boulevard, Suite 660B, Beverly Hills, CA 90211-3220. Mr. Kraut can be reached 24/7 at 888-334-6344 or 310-550-6935.